Ad-Juster’s newest offering — programmatic reporting — enables publishers to simplify workflows while experiencing faster, accurate and more reliable results. This powerful tool allows revenue ops, ad ops and sales to automate, aggregate and organize their programmatic data through the use of proven technology.” says Mike Lewis, President and Co-Founder of Ad-Juster. Ad-Juster, the leader in third-party data aggregation and ad delivery discrepancy management technologies, has announced new capabilities that will eliminate many of the inefficient repetitive tasks facing ad operations professionals. Ad-Juster’s newest offering — programmatic reporting — enables publishers to simplify workflows while experiencing faster, accurate and more reliable results. The labor-heavy task of monitoring partner revenue streams falls on the shoulders of ad operations teams. They must carefully monitor vast amounts of information in relation to eCPMs and fill rates for multiple sources — from Rubicon to Google Ad Exchange to any of the hundreds of supply-side networks, exchanges and trading desks. Considering the variability of rates offered by vendors and the risk of devaluing publisher audience inventory, the stakes are high. Accuracy and precision must be applied when monitoring revenue, impressions, discrepancies and fill rates for each demand source. This is a growing challenge, as spending in this area continues to rise. In fact, total US programmatic ad revenue was on track to reach $15 billion in 2015, according to BI Intelligence estimates. RTB, particularly mobile and video RTB, are fueling this growth. As a result, ad ops teams are working feverishly to keep up with the growing data and reporting challenges it presents. eCpm by platform, advertiser, and more. View how your inventory is being purchased across many channels quickly. Identify and close loopholes allowing advertisers to pay less for inventory based on the where they buy it. Visibility into fill rate by platform. Prioritize partners by quickly viewing who is filling to maximize the yield. Ad-Juster is a data management platform for digital publishers, ad agencies, ad networks and ad tech platforms. It’s the only fully automated reconciliation and aggregate reporting system in the digital ad industry. 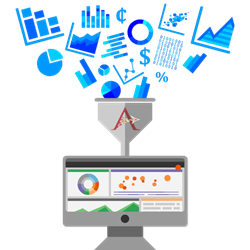 Ad-Juster specializes in Display Ad Reporting, 3rd Party Data Aggregation, Programmatic Reporting, Ad Viewability, Mobile and Video Reporting, 3rd Party Tag Verification, Automated Buffer Optimization and more. Digital publishers, ad agencies and networks are provided with a single centralized web-based location to connect to and aggregate data from supported third-party and local ad servers. The technology integrates with all major publisher ad serving systems, top third-party platforms, order management systems, billing and invoicing systems, data warehousing, proprietary systems and SalesForce. For more information, visit http://www.ad-juster.com.